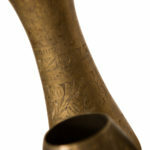 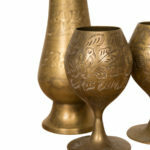 Brass vessels with ornate floral detailing. 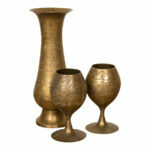 Great as decorative pieces or for floral arrangements. 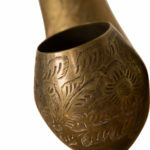 The larger vase measures at 3.5 x 3.5 x 9.5 inches.